Home Procurement News Can veterans solve the skills gap in manufacturing? Can veterans solve the skills gap in manufacturing? While the manufacturing sector has improved since the Great Recession, it's not in top shape yet. The industry still lacks skilled workers to fill positions. According to a report from Deloitte and the Manufacturing Institute, approximately 2 million positions will go unfilled in the next decade because of the declining number of people entering the sector to replace retiring baby boomers. Manufacturers have been targeting school-aged young adults to boost interest in the sector, but there may be another group that companies are excluding. 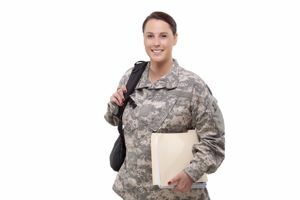 Veterans are already trained in the science, technology, engineering and mathematical fields, which means there are a number of skilled workers just waiting to be employed throughout the supply chain. When people think of the military, they may imagine people in fatigues on the battlefield. However, that isn't the only job soldiers are enlisted to do. There is also a need for "enablers," or supporting roles, such as doctors, nurses and technicians, the U.S. Army website explained. The Army Reserves is nearly solely dedicated to that purpose. This allows members to transition seamlessly between military and civilian life. Even those who aren't part of the Reserves learn STEM skills during their enlistment. The Huffington Post contributor Lt. Gen. Clarence McKnight Jr. explained that new recruits go through a series of tests to evaluate their interests and abilities. From there, the military is able to find positions where members will excel and best serve their time. They receive hands-on training with veteran non-commissioned officers to ensure that they have a grasp of their roles in the armed forces. "If you looked at the skills that we have - in the engineers, the cyber warriors, the medical - many of these are on the cutting edge with the technology that we use in the military that can also be applied on the civilian side," said Maj. Gen. David Conboy​, as quoted on the U.S. Army's website. Along with the training from veteran NCOs, enlisted members are also able to pursue academic degrees. According to Conboy, the rushed pace of today's current society and economy can put stress on young adults, who may be torn between continuing their education and getting a full-time job. However, the military allows recruits to do both. They get paid to learn STEM skills and improve their knowledge, and they have much more time to do so. According to the U.S. Department of Defense, approximately 1 million to 1.5 million people will be leaving the military within the next five years, the Nebraska Manufacturing Advisory Council reported. Considering 2 million manufacturing positions will go unfilled in the next decade, veterans may be the answer to the employee procurement problem. The switch to civilian life can be hard for veterans, but jobs in manufacturing may help ease the transition. Veterans have experience making decisions in high-stress situations, which can improve productivity along the supply chain, U.S. News & World Report explained. Their technical skills from the military can go a long way in making executive decisions to ensure the success of the company. Veterans will also excel at working in teams, as they are used to having roles in groups and following a chain of command, according to the NMAC. "Everything that you do in your organization happens in the military, too," Mike Grice, a board member for Medtech and the Biotech Veterans Program, told U.S. News & World Report. "It's just a variation on a theme." Through apprenticeships and mentorships, businesses can show veterans how to transfer their military skills into manufacturing. This will help them make the transition into civilian life and show them how to perform certain tasks to benefit their new employers. While a worker shortage is predicted for the upcoming years, it doesn't have to dominate the manufacturing sector. By recruiting veterans to their companies, manufacturers will be able to close the gap while offering retired members of the military civilian positions. This is a tricky problem. First, manufacturing is in a decline so why should young people enter the field. I know of many older people who worked for heavy industry as skilled machinists, certified welders who lost jobs and never regained them. Wages in these industries will not go up because you are competing with foreign labor. Second and most important, there is no shortage of STEM people. The only shortage is people willing to work at wages competitive with foreign wages.